Storm Jonas- GET THE FACTS , Storm Jonas in Ocean City at its peak Height created flooding of 5.6 ft above mean high tide . Sandy comparatively was 7.25 ft above mean high tide. This chart and information was received directly from Arthur Chew, City Engineers. office. The City Flood Smart Program page is Filled with useful informaiton. How is the Shore market right now? "Ultimate guide to Beach Real Estate". before you speak to an agent...use our FREE Technology & find out find out what your home is worth in today's market. - Just released our FREE Mobile App! GPS software allows easy map & navigation while ON THE GO! 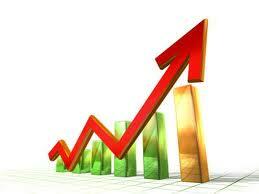 Average sales price is up 16% as compared to last August & prices are up 4% Year to date! we have the inside track on homes..